Another proof circa 1935 showing that stupidity was not always a virtue. 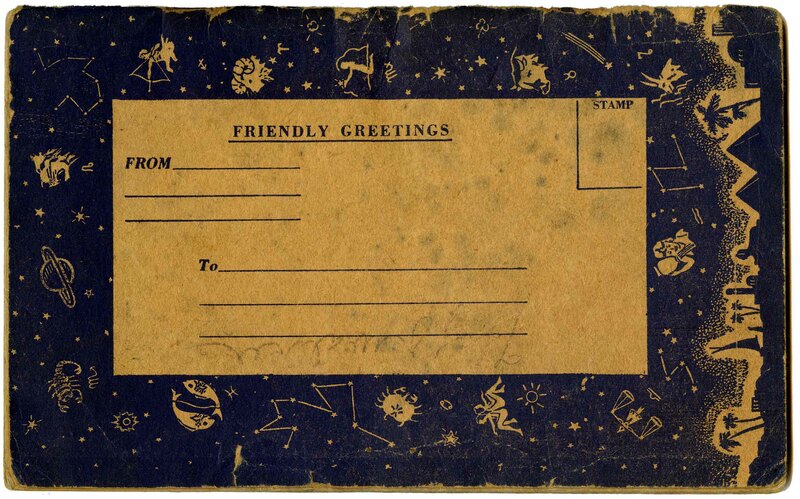 Note written on the inside front cover "From Uncle Virgil, Xmas, 1935." 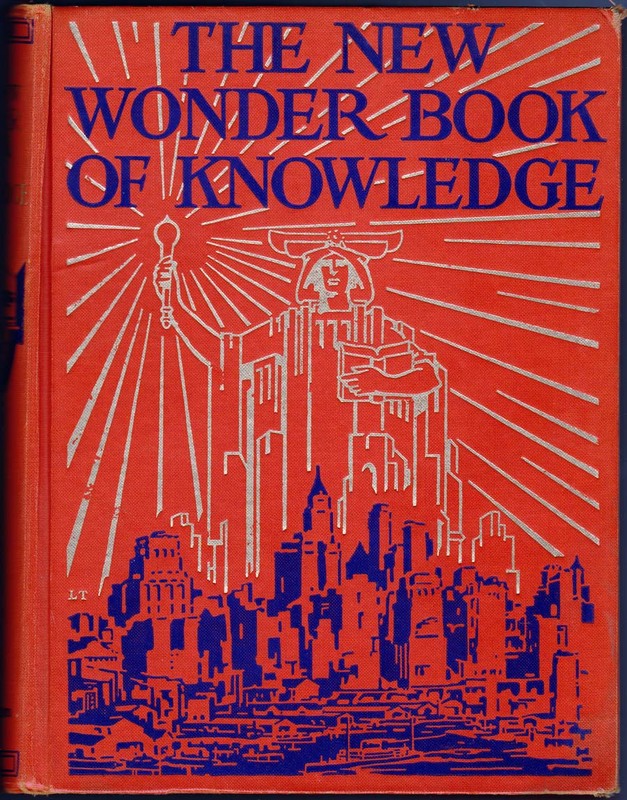 The New Wonder Book of Knowledge (1935). 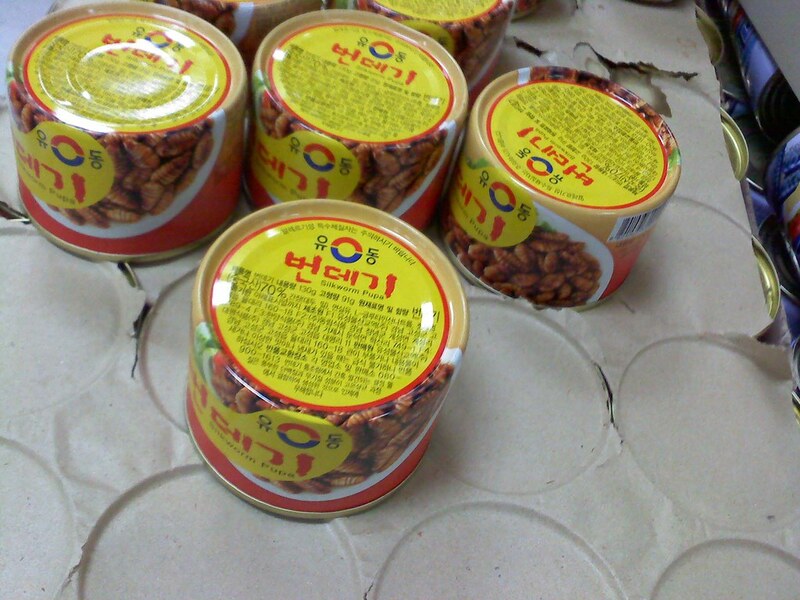 Related: Man's Crown of Distinction. She's staying with a "friend", okay? One of the more seemingly harmless though in reality careless acts a parent can do is placing the name of their child on the exterior of their child's clothing. Predators could sometimes use that information to the disadvantage of a child who would believe anyone who knows their name must be a friend of the family or knows them. While it statistically isn't all that likely that having a name visible on an outer article of clothing will make a child the victim of a crime it becomes ever so slightly more possible that they will. Given their druthers a predator goes for the easier target, something that allows them to separate prey from the herd. 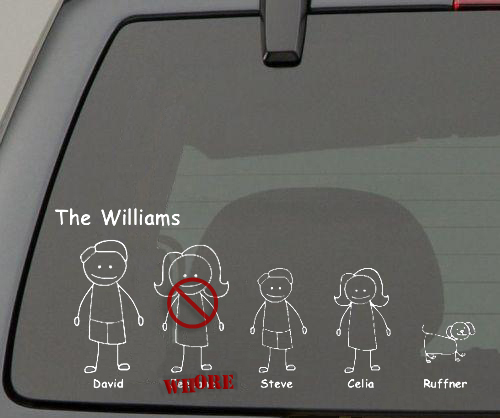 For that reason the makers of those stick figure family car window decals advise against identifying the family members by name. I would advise against displaying them at all. So it was that yesterday while at the mall I witnessed one of those Things That Make You Go Tsk. A barely-supervised child was running up and down the sidewalk, playing, ducking out of sight, wandering further away from the parent by increments and being distracted by things. All in all being a typical kid. She was pretty gregarious and talked up every person that walked by. Not a problem mostly except that on the front of her dress was a piece of tape with her name written on it, apparently a remainder of a class field trip that was not removed before school ended. When her Billy-esque wanderings brought the child to my side I asked her for her name tag because I had lost mine. Without pausing the youngster stripped the tape off and handed it to me. As she then bounced off to play I wadded up the tape and tossed it into an adjacent trash can. The parent, siting on a bench a few feet away, paused the phone conversation long enough to glare at me with her piggish, dead, hate-filled eyes. "Yeah." I told her. 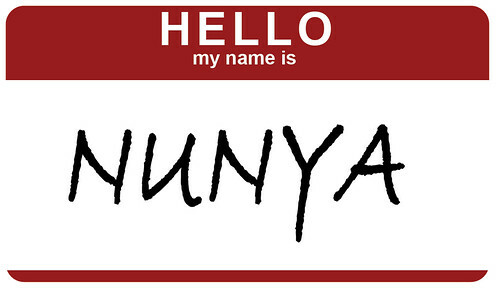 "You probably don't want strangers to know your daughter's name." She then resumed her phone call, annoyed perhaps that a complete meddling stranger was the better parent to her child than she was. The name tag incident led me to think about how funny/cool it would be to put an ambush QR Code on a shirt or on stickers to place around playgrounds. When some weirdo photographs happy children playing on a jungle gym their phone will detect the code in the camera field and immediately lead them to some website like whyareyoutakingpicturesofmykidyoufreak.com, preferably with some self-starting, screaming audio designed to draw attention to the creepy stalker. The destination of the code link is limited only by the imagination of the creator. 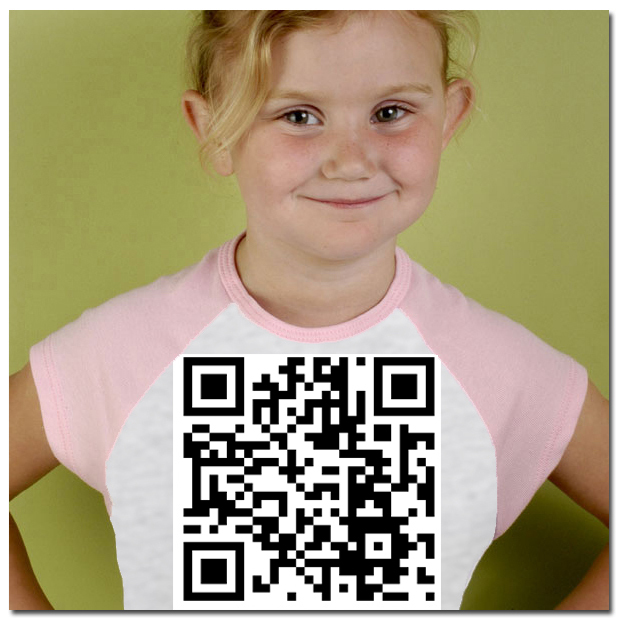 QR codes are easy to generate and print out on a variety of media. Don't be surprised if some educationally-themed QR codes start showing up in the wild around some local San Diego playgrounds, schools and parks. I sincerely doubt anyone can go six minutes in a Fiction House jungle without getting attacked by something. That is one angry, hungry universe. 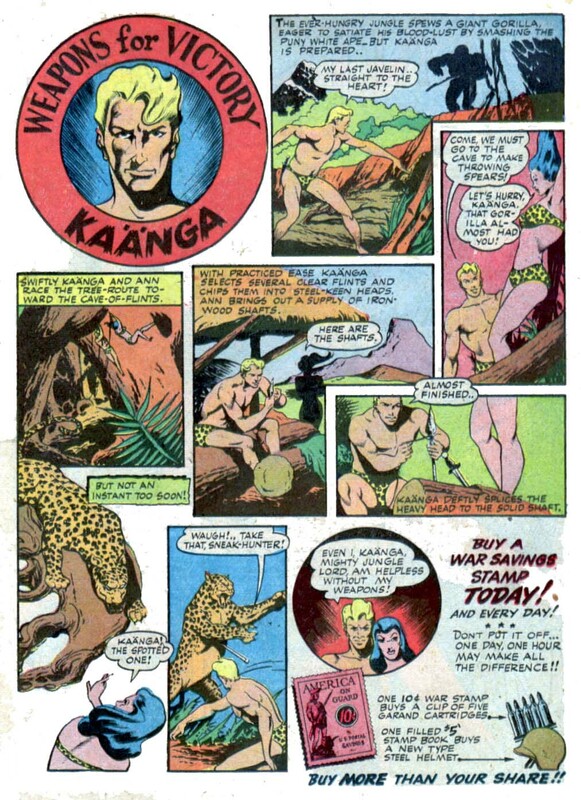 From Jungle Comics #43 (July 1943). 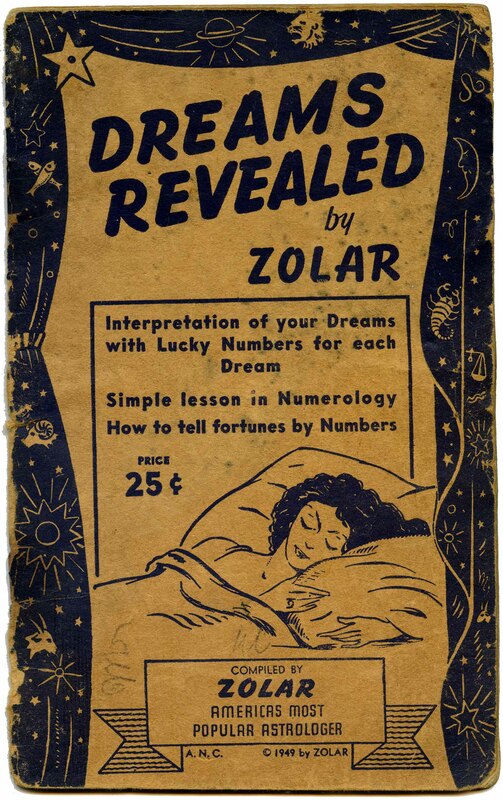 LEND ME YOUR DREAM OR I'LL CUT IT FROM YOUR COLD, DEAD BRAIN! 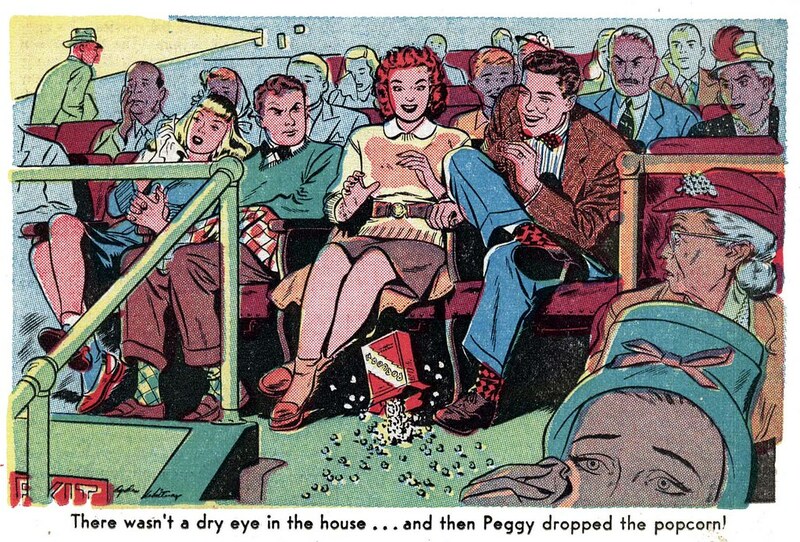 When it comes to the old romance comic books that various companies published the writers gave forth a story that more or less followed a few standard plots. 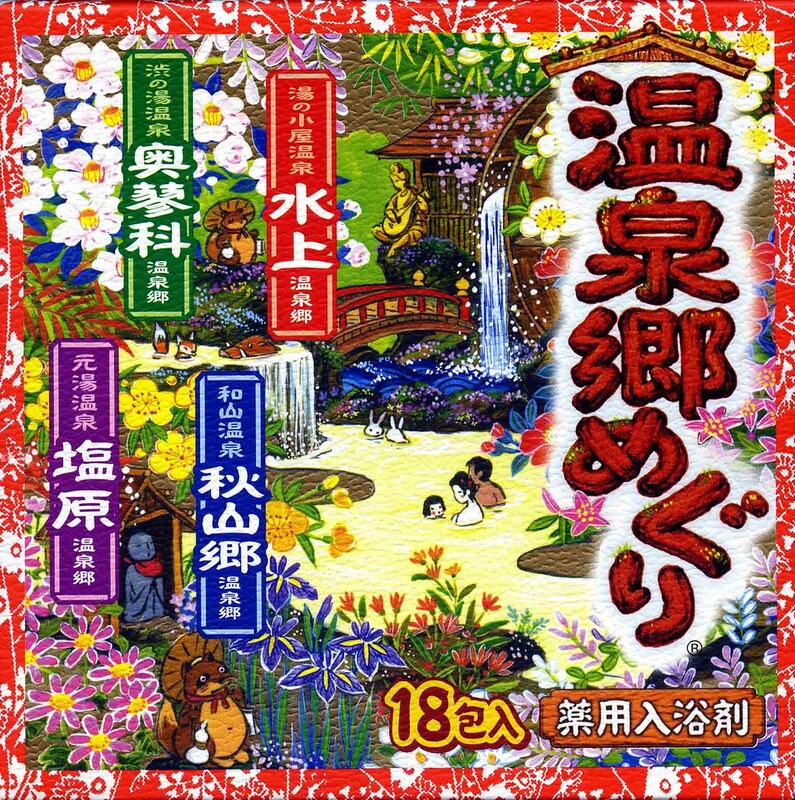 They were typically Girl-Meets-Boy kind of tales with a few twists thrown in as morality fables. Love usually overcame all obstacles that lay in the path of true happiness. Some stories were precautionary and did not have a happy ending due to the sacrifices or selfishness of the heroines invloved. 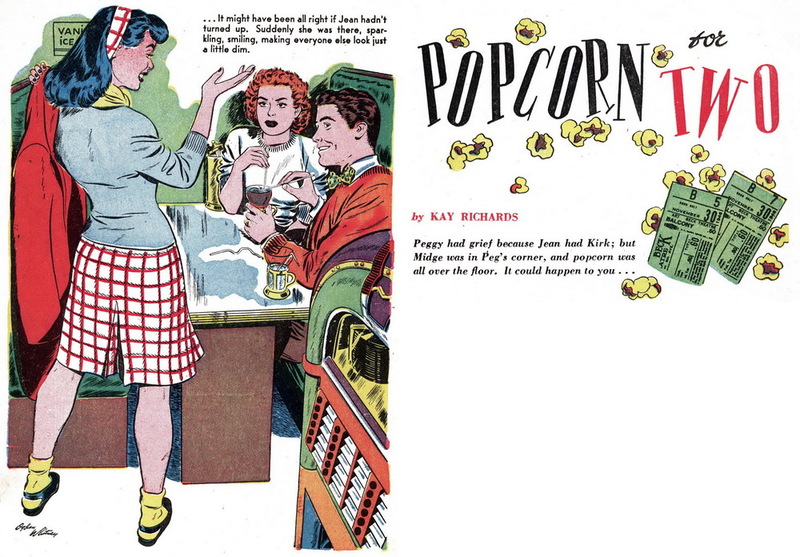 A few stories even skirted the subject of gay issues in subtle and some not-so-subtle ways. 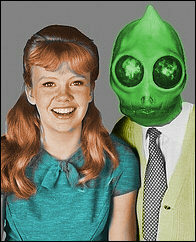 Then there were those stories where you knew the writer was just screwing with the reader. 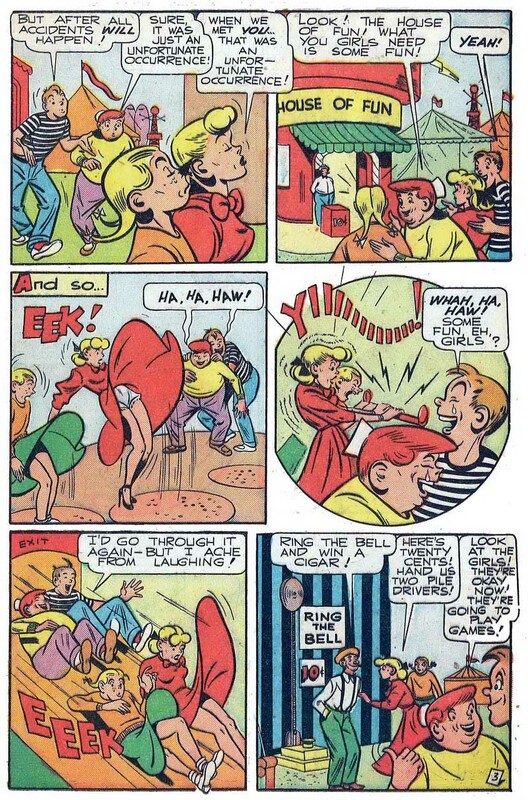 Pretty much eight pages of unhinged obsession from Falling in Love #60 (July 1963). 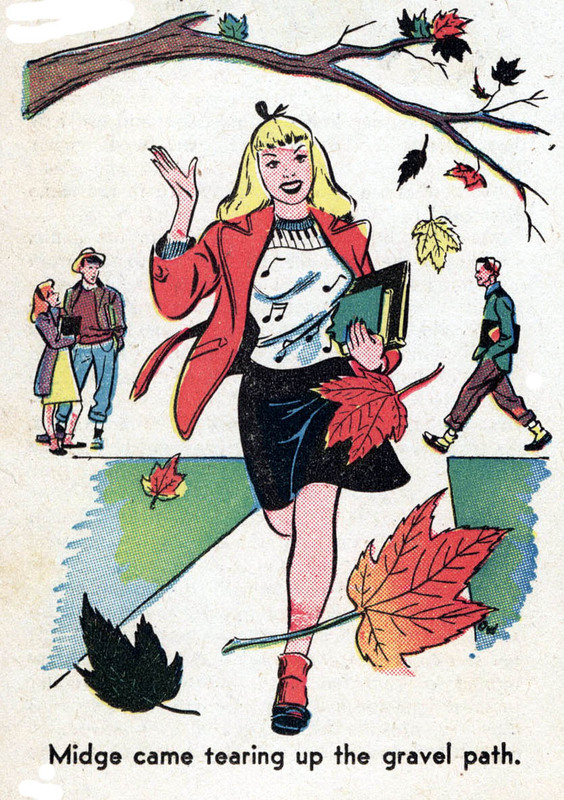 And so...Pre-Code cheesecake for the kiddies from Vicky #4 (Dec 1948). 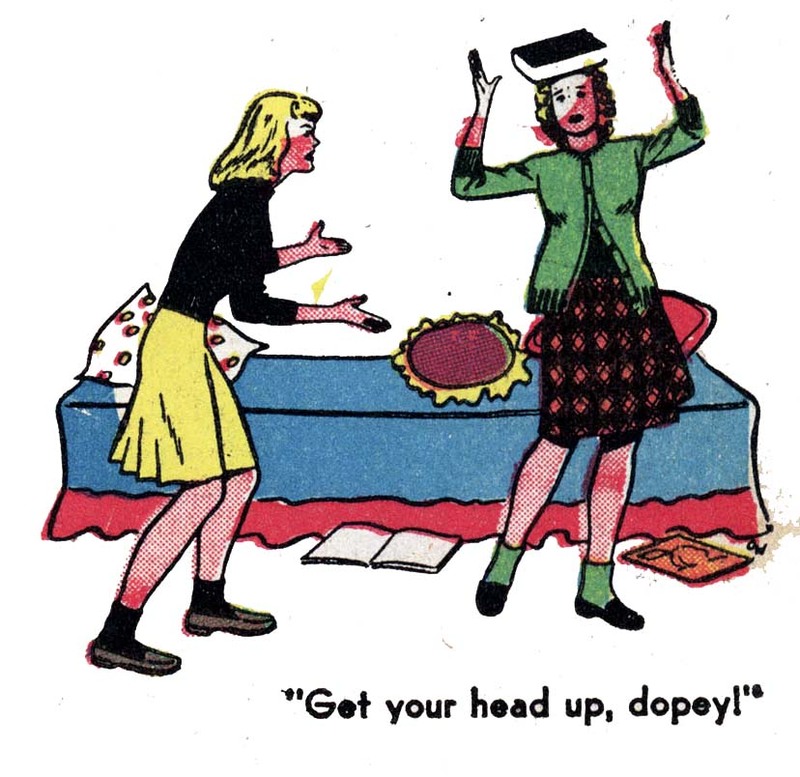 Nice illustrations by a pre-Herbie Ogden Whitney for a text-story in Keen Teens #3 (Feb-Mar 1947). 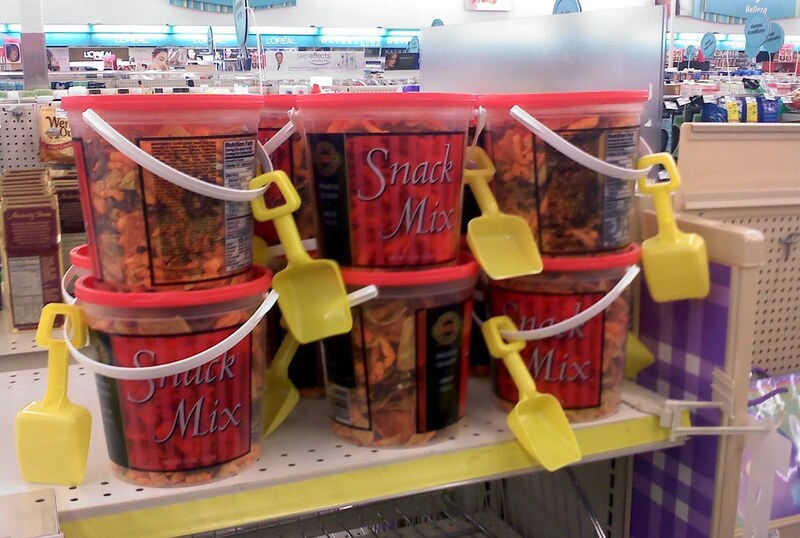 Oh, sure...The shovel is supposed to be for use with the bucket for sandbox play after all the snacks have been eaten but who they fooling? Spotted in a San Diego store April 2010. What is it about the marketing mind that believes false or forced perspective, the erasing or addition of body parts is so important in advertising that it is such a common practice? I wonder, is it contempt for the average consumer that leads to such errors a child with a PC would not make. Or is it that ads with such "errors" are considered a stylized form of art and are legitimate as they are? Don't know if this qualifies as a Photoshop Disaster but the erasing of an apparently aesthetically displeasing elbow seems a bit of a hasty decision. I, for one, think Ashley Judd's elbows are cute and they should have been left in the photo, if in fact the lower half of that body is actually hers. Related: Join the Mutant Navy. 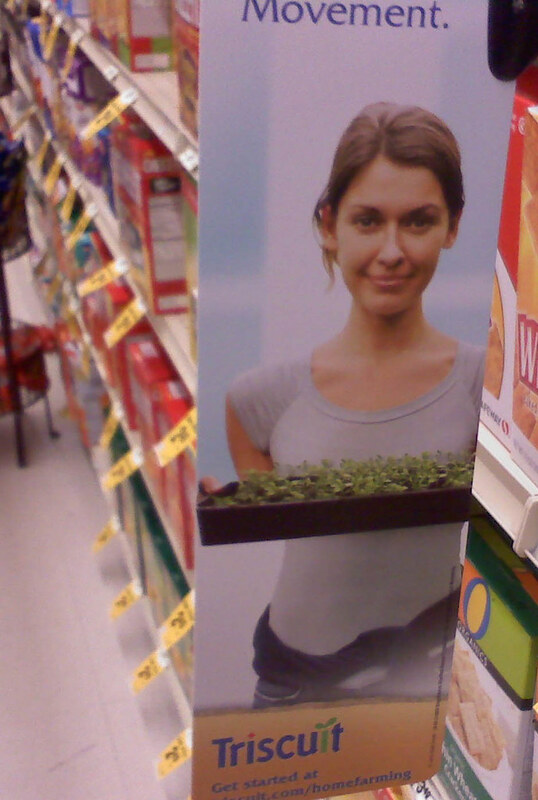 Spotted in a San Diego grocery store, April 2010. Pickings have been kind of slim for a collector of old books and LP's like myself. Thrift stores that once reserved entire rooms of valuable square footage to crumbling novels and vinyl have let the stock dwindle to almost nothing. This is occurring at a time when the groovy, cool or odd bit of entertainment ephemera of the past is of greater interest to collectors of vinyl. The youth market particularly is re-discovering LP's (several stores have consolidated their vinyl to one location or are separating them out before they get to the sales floor for sale via other outlets) and their scarcity may be due to this interest. A sobering thought is that whether or not I am successful in finding something I like may have origins in the loss of a loved one from some unknown family. Books, statuettes and records are often disposed of via thrift stores from family members who are loathe to just trash the precious mementos of a deceased family member. Rather than toss boxes of LP's into the landfill it is hoped that others may find as much pleasure from the spoken-word styling of Jackie Gleason covering torch songs of the 50s as their mother once did. While the observation is purely anecdotal, cleaning out the parent's garage of a lifetime of media may be why there are so many copies of the same obscure Italian lounge singer and Swingin' Sixties instrumentals of movie themes at the local Salvation Army discount outlet. Hopefully (?) once Health Care reform is fully underway then the death panels will ensure a steady stream of old junk from Granny's attic will hit the Goodwill for collectors to pick over. Sadly, books are becoming less important as technology renders print ever more obsolete. Thousands of books are just left to crumble from age. Truthfully there is not much of interest to be found in the copy of John Halifax, Gentleman that I scanned other than the book is of advanced age, published sometime between 1902 and 1945. Originally written in 1856 by Dinah Mulock it is a reflection of the times this volume was printed that the author is referred to only by her married name of Mrs. Craik. The art by veteran illustrator of many Victorian tales A. A. Dixon is serviceable and competent but is rather generic. Fans of the artist may appreciate seeing some scans of his work that may not be available elsewhere. Also, those with an interest in antique medical devices could find some interest in the wheelchair used by one of the characters but it is unknown if the chair is truly representative of the devices of the time or merely an artists' fancy. Of greater interest is the provenance of the book itself. 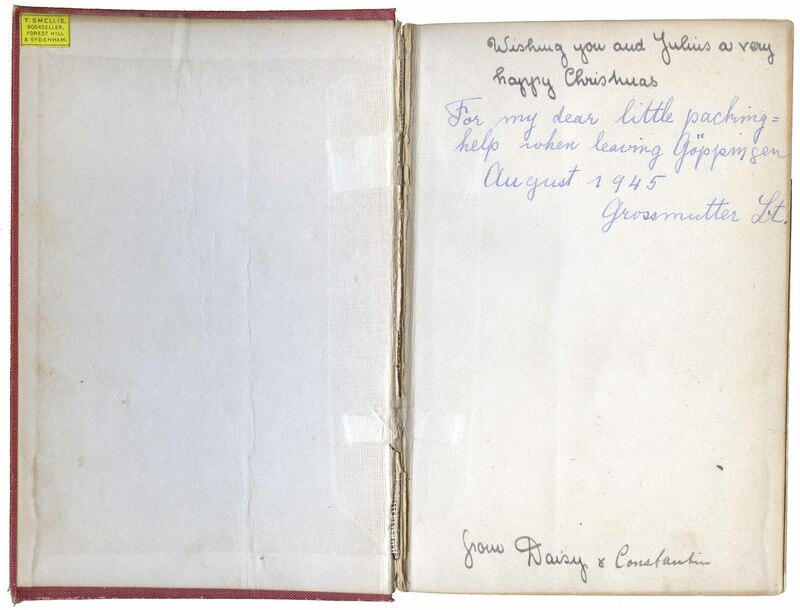 Published in England, the inside cover bears a tag from the bookseller and personal notes of previous owners. These are artifacts that would shortly have been lost to history if not for being preserved here. How the book made its way to San Diego, California in the United States will probably never be revealed. Moreover, the days when books were considered important enough to transport across a city during a move, much less to another continent are long past. Due to shipping costs most books are more likely to be disposed of in the trash or left in donation bins than taken along during a family relocation. Fortunately much of the text of old, orphan works in the public domain are being preserved by libraries and other services and can be found online. 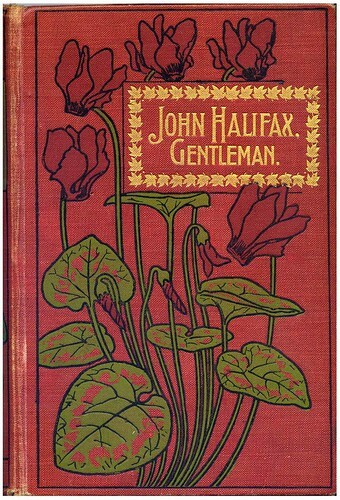 Anyone who cares to read John Halifax, Gentleman can find it via Project Gutenberg or other resources. The accompanying art from the original books are rarely preserved or made available unless some publisher creates a collection for sale or amateurs like myself do so just out of enjoyment or a desire to share. While I take pains to ensure the books remain intact others are not so respectful or cautious. I'm simultaneously horrified and grateful that industrious artists and entrepreneurs are raiding old magazines and books for the art and framing it or selling the individual pages off piecemeal. I myself own several antique and newer books full of gorgeous hand-drawn and highly-detailed illustrations of drawing and survey equipment and full-color aeronautical flight charts and night sky maps. These drawings just beg to be excised from the binding, framed and hung on a wall. While I can appreciate that old art is being preserved in some form damaging or destroying books for any reason makes me twitch a bit. 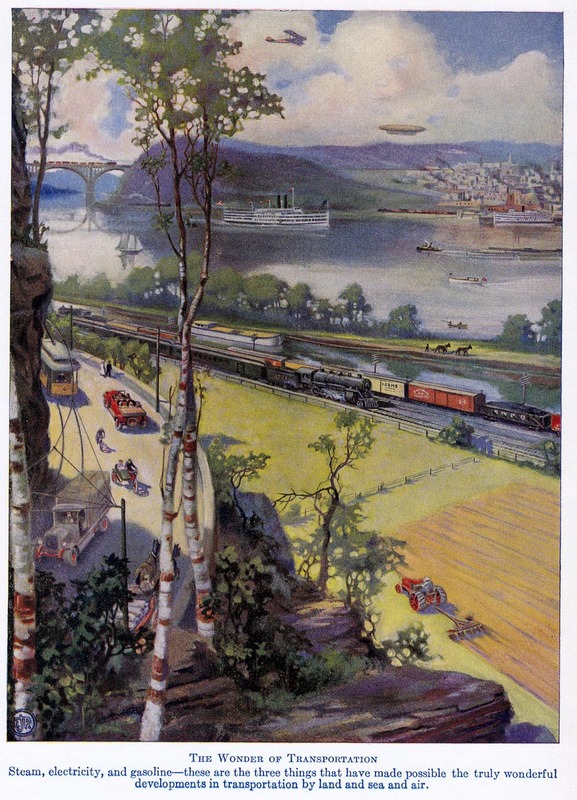 Here is a link to the entire set of scans of the art of John Halifax, Gentleman. Enjoy! See what you get when you trust somebody who purports to speak for the Universe? Decades and decades of lies and corruption through every level of the church hierarchy because those in charge are just thieving, grifting users of gullible or desperate people. 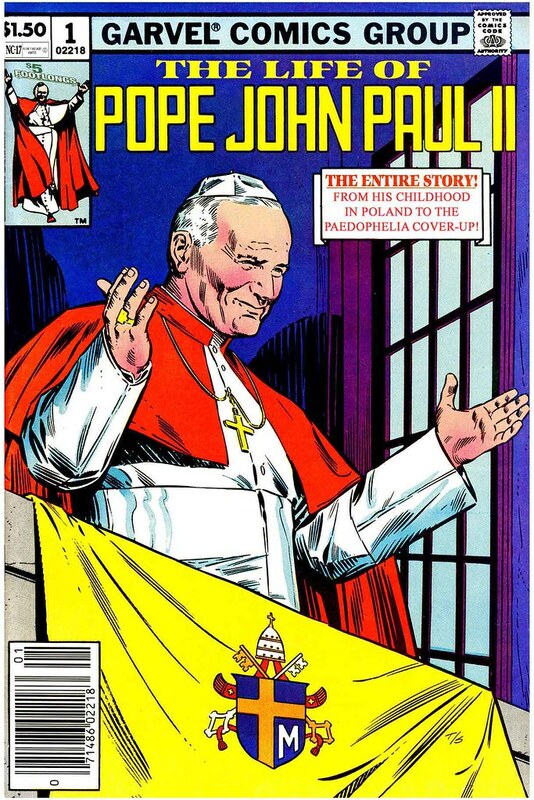 I can't help but think that the ROBOT POPE would rather delete its hard drive than overwrite the truth about child-molesting members of the church. Reason for the season? Gimme bunnies, ducks and chocolate. Gorgeous, highly detailed package illustration for multi-pack of scented bathing salts packaged in China. One of a series, more to follow.